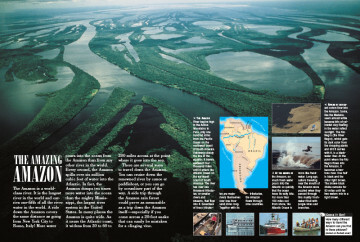 So what’s so special about the longest river in the world? 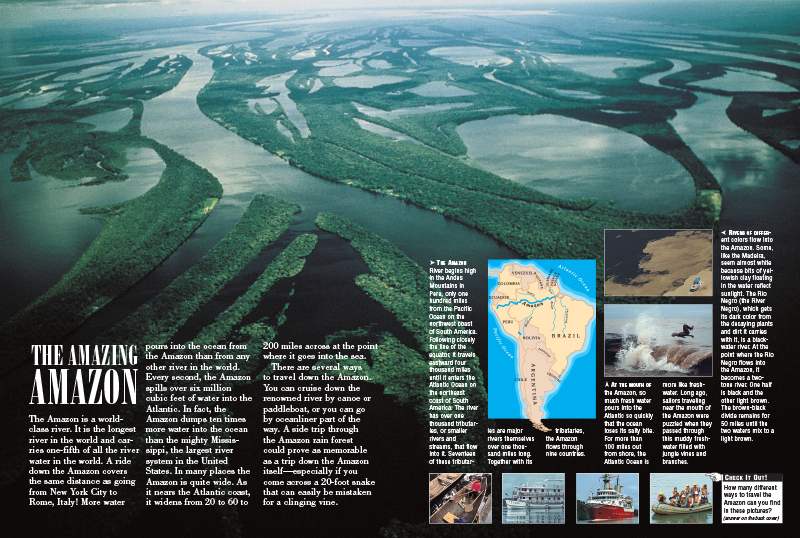 Well for starters, the Amazon is much more than just a river. 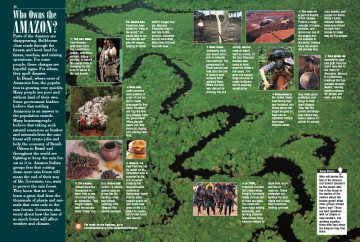 This incredible region that spans over half the continent of South America is home to the world’s most diverse ecosystem, as well as many native tribes. 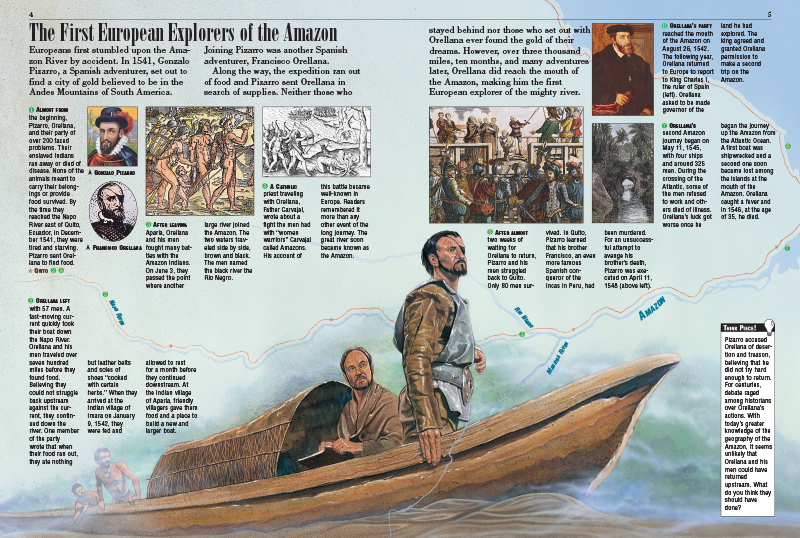 The Amazon provides an amazing tale for kids that begins with the early European explorers such as Gonzalo Pizarro, who ventured down the Amazon in search of the rumored city of gold, buried deep in the Andes. 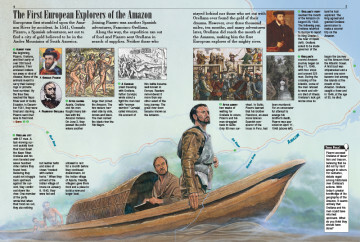 This was just the beginning of the vast resources and treasures to be unearthed in the region. 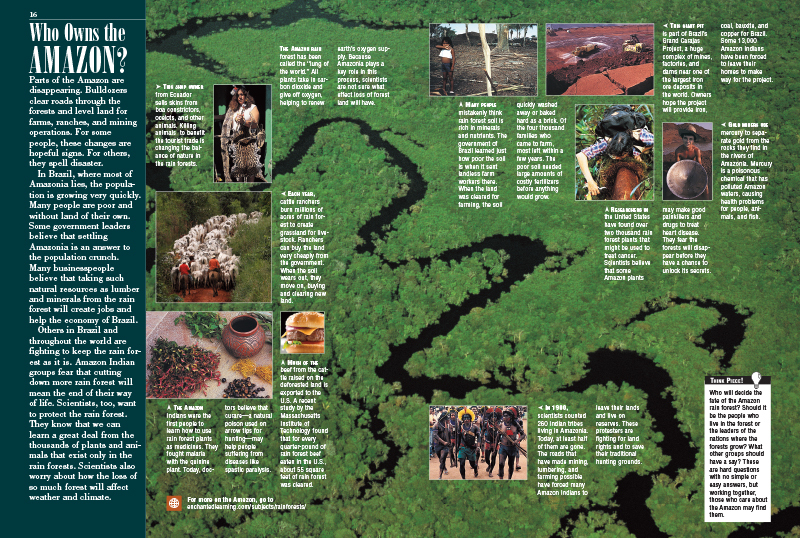 But well before the western world set out to explore the Amazon, native tribes dominated the nearly 3 million square miles of land. 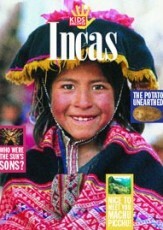 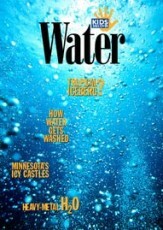 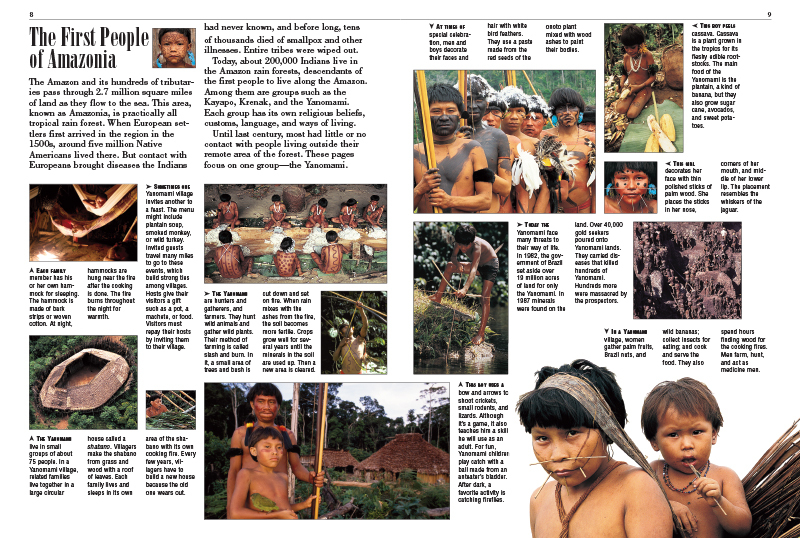 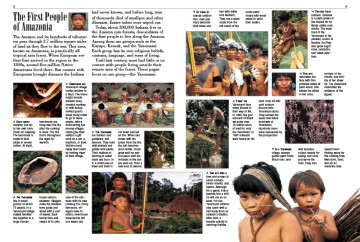 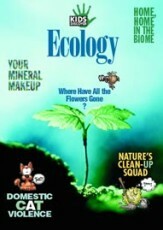 Tribes such as the Yanomami have deep rituals and ceremonies, and this issue explores the tools, dwellings, and activities that make such a tribe unique. 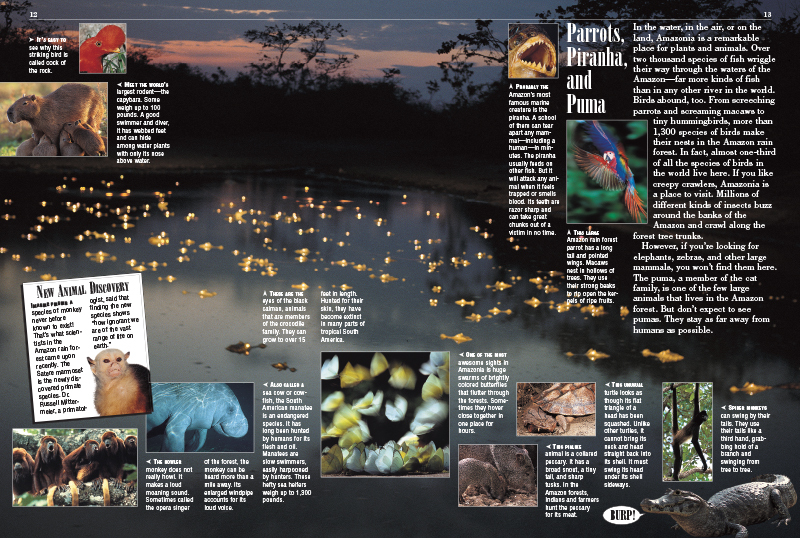 Kids will continue their journey thru the Amazon to discover amazing creatures such as Parrots, Piranhas and Pumas, and also learn about some harmful deforestation that has occurred over the past 150 years. 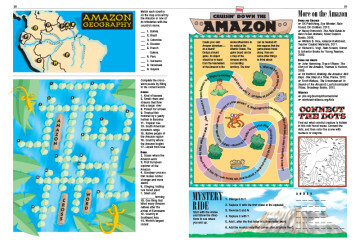 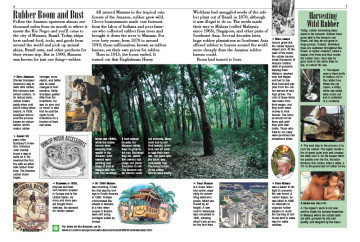 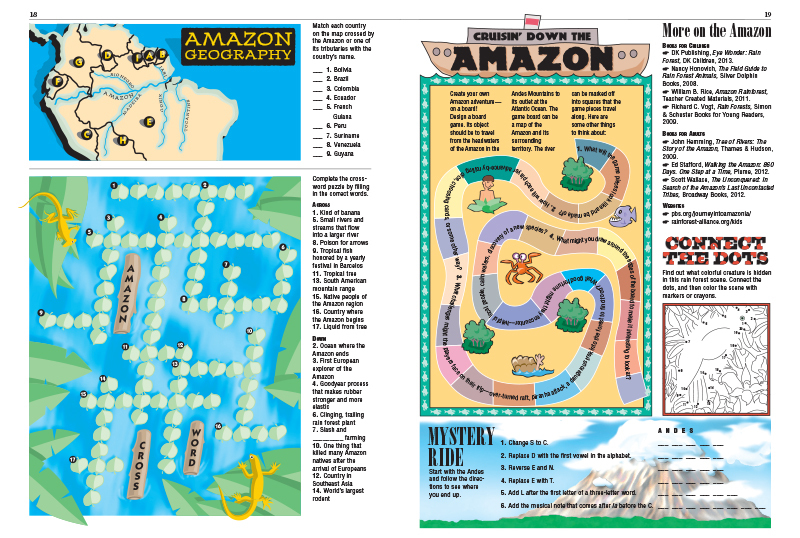 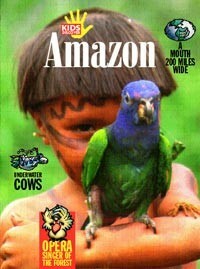 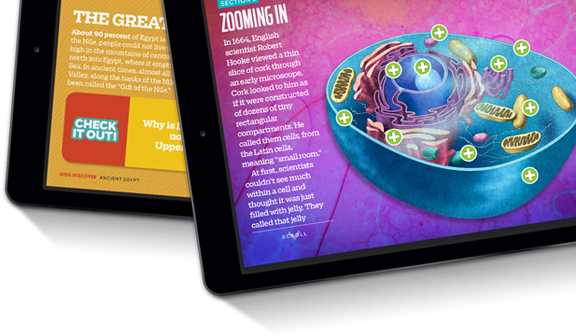 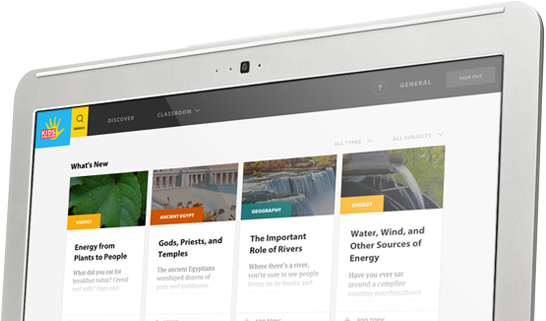 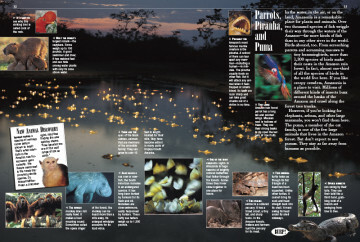 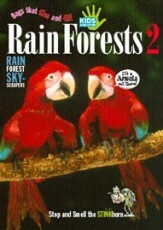 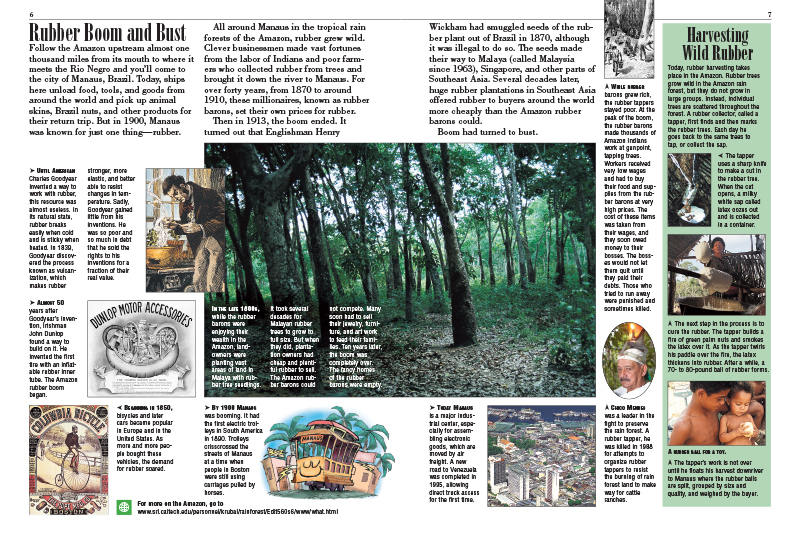 For kids, the Amazon provides a world of adventure that may spark an interest for further investigation.